The way that we feel about our skin can have a significant effect on the way that we fell about ourselves. It’s fair to say that most of us have experienced the feeling of dread when a spot or blemish appears just before an important occasion! Although it’s impossible to predict when a spot might strike, just by taking a few simple steps, you can ensure that your skin looks the best that it possibly can. 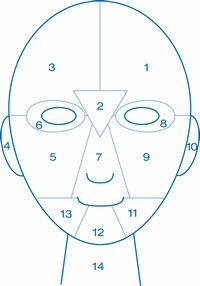 The first thing that you need to analyse is the products that you’re using in your skin care regime. Make sure that you’re cleansing, toning and moisturising with the most suitable products possible. Dermalogica have a wide range of skincare products for different skin types, which are known for being some of the best in the business. If you’re often rushed for time in the morning, there are products on the market which can cleanse and tone simultaneously. Another great way of improving the look of your skin is making sure that you’re drinking enough water. Drinking plenty of water is extremely essential in flushing out any nasty toxins and impurities from the body. By giving your skin a little extra attention, your skin will look clearer and brighter- giving your confidence a new lease of life! Tired of battling with oily skin? Why risk spoiling your skin this summer?